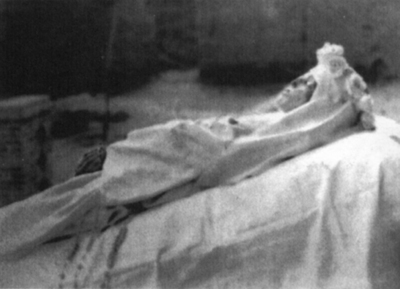 The "incorrupt" body of Sr. Maria Assunta after being exhumed in Dongergou Village, Shanxi. Dongergou Village, China. B/W Photo.